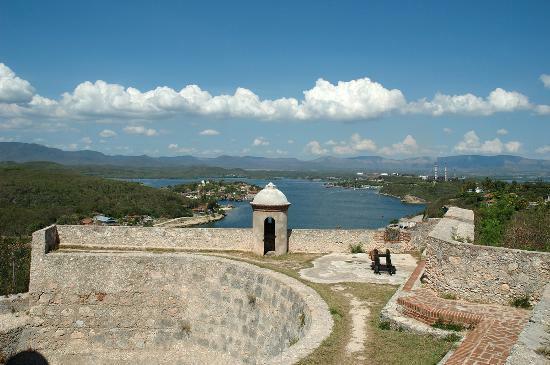 Entertainment can be experienced in a variety of ways in Santiago de Cuba. Your ears may find comfort in the Casa de Las Tradiciones, a venue of the Trivoli neighborhood where Cuba's finest musicians gather for improvisation; your mouth, in Paladar Salon Tropical, where mainstays of the national cuisine arrive in generous portions; your eyes, in the Jardin de Los Helechos, home to a floral explosion of 90 types of orchids and 350 types of ferns.The gentile Tivolí district, some of Santiago de Cuba's most exciting ensembles, singers and soloists take turns improvising. Friday nights are reserved for straight-up, classic trova, à la Ñico Saquito and the like.